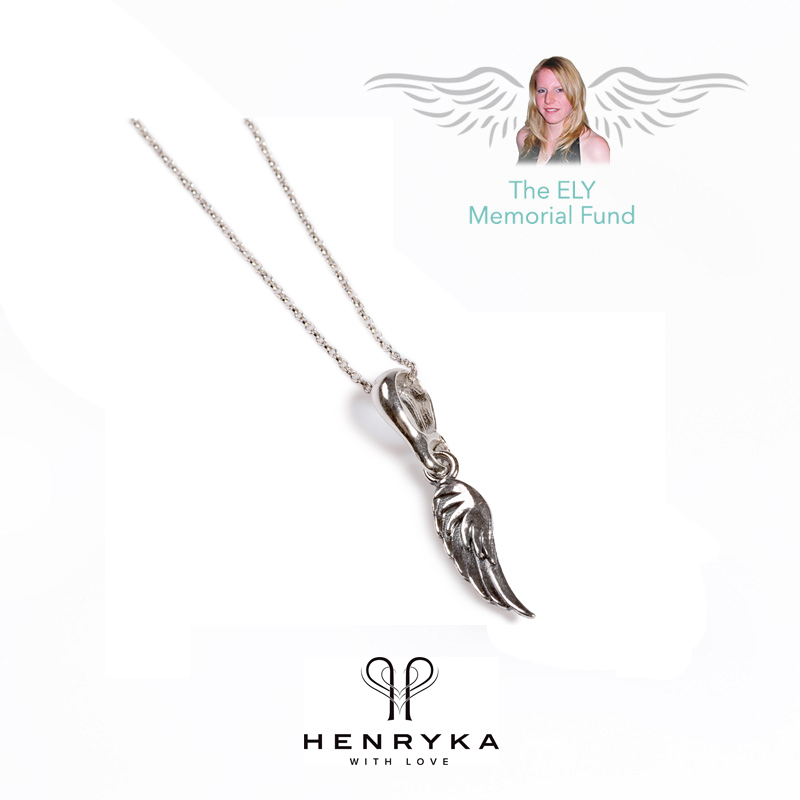 Inspired by the ELY Memorial Fund's logo, symbolising protection, affection and harmony, this necklace holds great meaning. 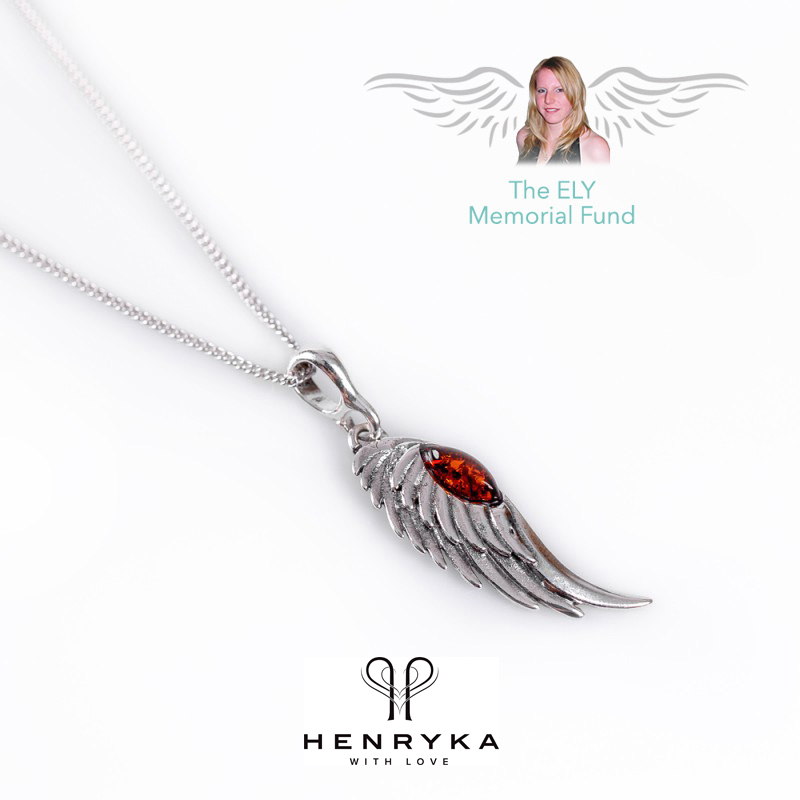 A silver angel wing featuring beautiful feather detailing and an oval of reconstituted cognac amber. 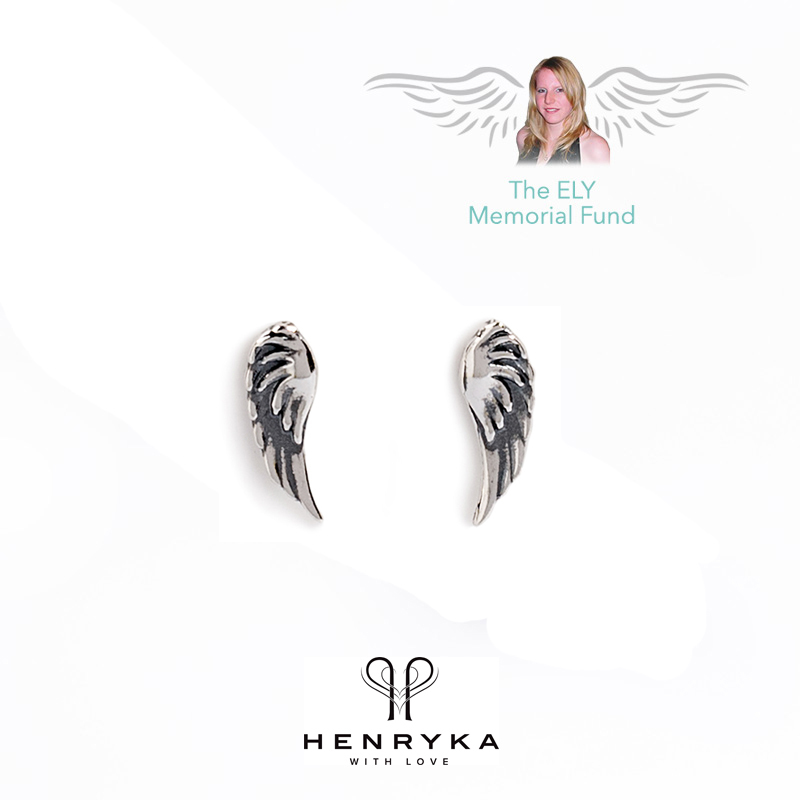 Silver angel wing earrings featuring beautiful feather detailing. Inspired by ELY Memorial Fund’s logo. A silver angel wing featuring beautiful feather detailing. Inspired by ELY Memorial Fund’s logo. A silver angel wing ring featuring beautiful feather detailing. 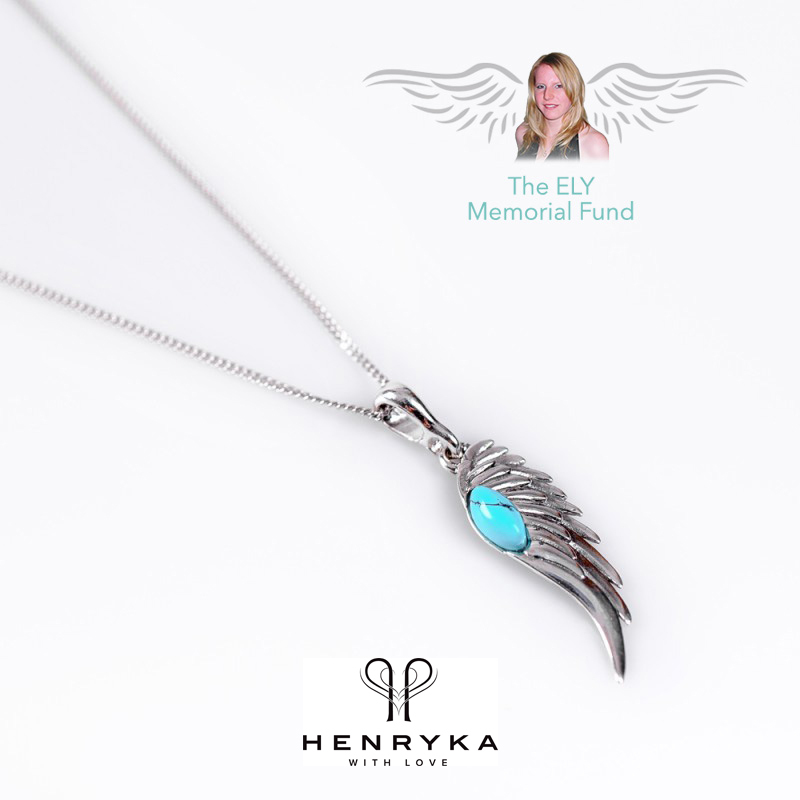 Our wing symbolises a very personal journey and has so much meaning to so many.